Alex Kreit is an associate professor and director of the Center for Law and Social Justice at Thomas Jefferson School of Law. After graduating from the University of Pennsylvania Law School, Professor Kreit clerked for the Honorable M. Blane Michael on the U.S. Fourth Circuit Court of Appeals. He then worked as an associate at Morrison & Foerster in San Francisco where his practice focused on securities and appellate litigation. Professor Kreit's articles have appeared in journals including the American University Law Review, the University of Chicago Legal Forum, the Harvard Journal of Law and Public Policy and the William & Mary Bill of Rights Journal. He is author of a forthcoming casebook on drug abuse and the law, “Controlled Substances: Crime, Regulation, and Policy” (Carolina Academic Press, forthcoming 2011). Professor Kreit is actively involved in the community. 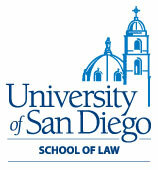 He is currently President of the San Diego Lawyer Chapter of the American Constitution Society and a member of the board of directors of So Say We All, a San Diego-based narrative arts production and education organization. From 2009 to 2010 he served as chair of the City of San Diego’s Medical Marijuana Task Force, a position appointed by the San Diego City Council. 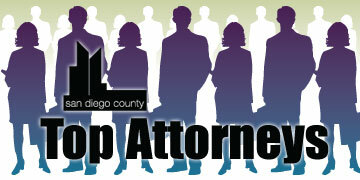 He has been recognized as one of San Diego’s Top Attorneys in the Academic Field by The Daily Transcript (2009) and one of “35 under 35” community leaders by the San Diego News Network (2010).